THE HAGUE, WILLEMSTAD - Curaçao is falling short in its policy towards Venezuelan refugees. This is according to human rights organization Human Rights Watch. Due to the severe political and economic crisis in Venezuela, hundreds of thousands of people leave the country, the largest migration in recent Latin American history. 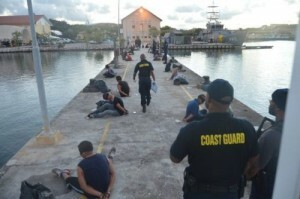 Some of the refugees go to Curaçao, which is off the coast of Venezuela. The human rights organization also received reports of deportations of Venezuelan asylum seekers. According to international law, asylum seekers cannot be returned if they are at risk of torture or inhuman treatment. Curaçao and the Netherlands threaten to ignore this international obligation, HRW states. Curaçao belongs to the Netherlands. But the Dutch government states that Curaçao is solely responsible for asylum and migration issues on its own territory.